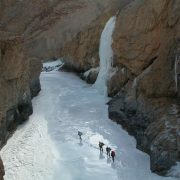 A part of the unexplored Markha Valley Trek in the Ladakh region, the Spituk Stok Trek is one of the most beautiful and easy treks in Ladakh that cuts across the stunning Stok La at 4900 meters, where one can enjoy the panoramic view of the legendary Indus valley, en route the sequestered Rumbuk village. The ramp to Stok La also encourages trekkers to mull over the history of Ladakh routing into the Stok Palace museum that dilates the chronicle gallery of several Ladakhi rulers. 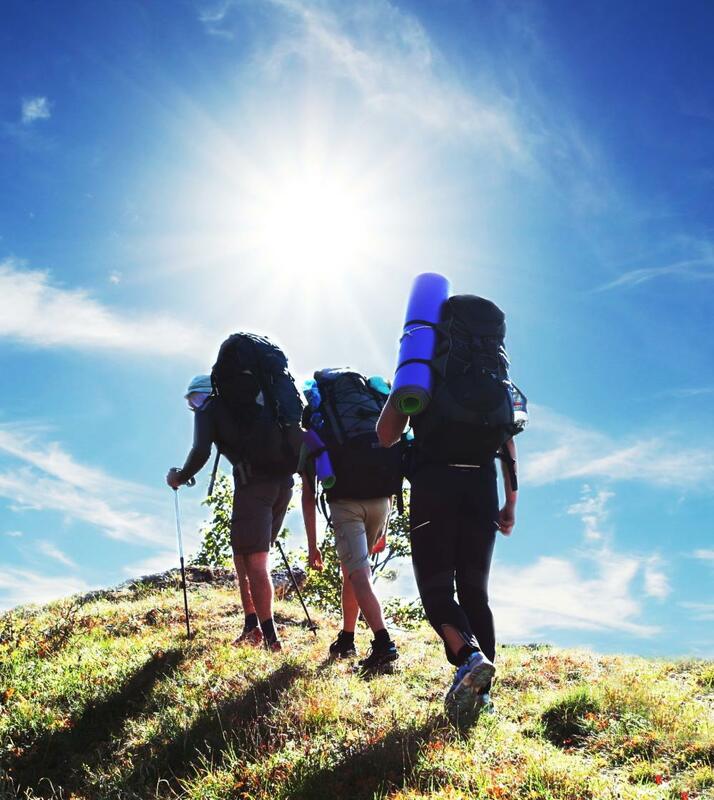 The Spituk Stok Trek is a niche journey for travellers seeking a pleasure hike. 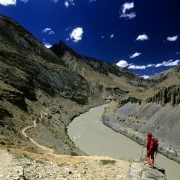 Following a contrasting landscape, where the barren hills slowly mix with greenery moving into the Zingchen valley and cut by the River Rumbuk, the trail truly intends to get a flavour of Ladakh even being low on time. Set in the midst of snowcapped mountains, the Rumbuk village that lies in the route of the strenuous Stok Kangri Trek showcases the colourful and wild nature dotted with flora and fauna. 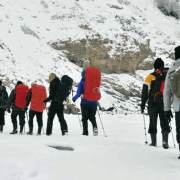 Walking and exploring the ambiance is more than a treasure hunt prizing the sights of Blue Sheep, Argali and if Lucky then Tibetan Wolf and if Fortunate then Snow Leopard. Nonetheless Rumbuk is also an abode of various migratory birds and thus offering some serious birding. Have the breakfast and then drive to Spituk (8 kilometers). 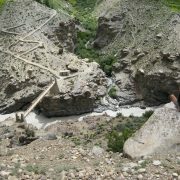 The trek traditionally begins here at the bridge over the Indus River located around a kilometer away at the west of Spituk Village. Nonetheless, a motorable road linking Spituk runs to Zingchen. Set out a camp after reaching Zingchen. Explore the scenic region at evening. Enjoy dinner and overnight stay in the camp. 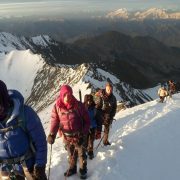 You will climb up 4900-meter Stok Pass also renowned as Namlung, in the morning after breakfast. You will face no problems in you are completely fit and have set the camp just under the pass. It takes less than 1.5 hours in ascending the steep climb. Walk about 10 minutes in the east side of the campsite and you will find a crisscross path at your right side that takes up the mountain. In first sight, it seems gradual but it soon crosses over the gap to the left and leads east at the easy slope all the way to the pass. Have the dinner and overnights stay in the tent. It is an easy day, as you have to descend the hill. Just keep following the stream on the left bank as it leads towards the north. The track is easy and wide as well. The wild roses and willows bejewel the trail as they grow on the islands in the middle of radiant that augments quite wide as you reach Stok. This palace was the erstwhile residence of Ladakh’s ruler.